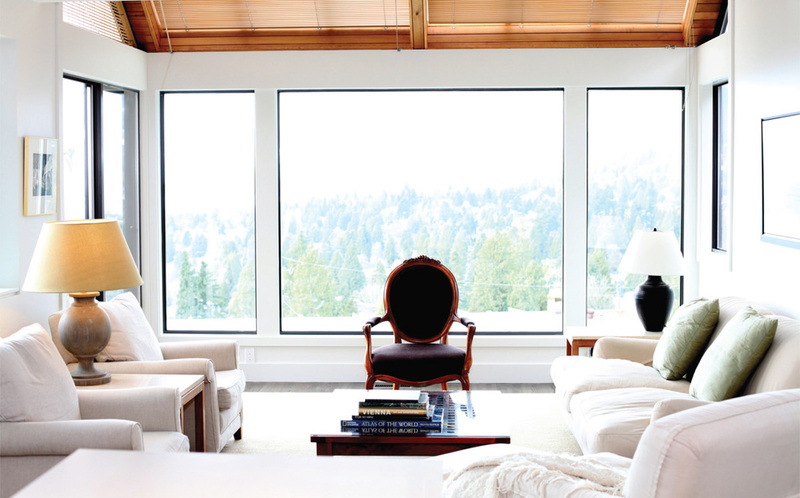 THIS OR THAT: WHITE LIVING ROOMS WITH SPECTACULAR VIEWS! Two living rooms…two very different views. 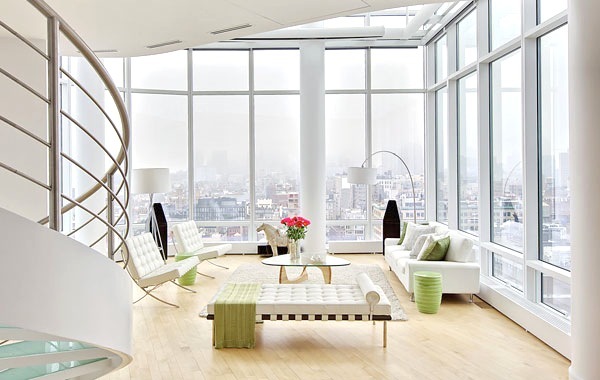 Above, a modern New York duplex penthouse loft in the middle of Chelsea; a very modern apartment in the city with Mies van der Rohe Barcelona chairs and benches in white and a signature glass Noguchi coffee table. Designed by Marie Burgos. Or, a cozy West Vancouver apartment designed by Rebecca LaPres of Riesco & LaPres with a hillside view of green trees. Please vote and tell me which you prefer and why!! Number 2 for sure! I prefer the styling of the living room and the view of trees. And I love the fact that it’s in my favourite city in the world! Pic 1, so serene and immaculate. love the modern and stylish decor, the view is spectacular,glass windows make the room appear so spacious and yet have privacy. They are both fabulous but if I had to choose I would choose the modern New York duplex penthouse loft. 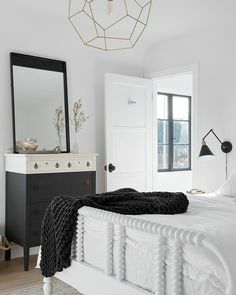 I just love how bright and open it is and the clean, minimalist design! Has a beautiful view of trees but the furniture arrangement looks like someone just moved in. Wow! !The designer need to get an award for best remodeling! Great Job!! Number 2! Ive seen number one done so many times. Number 2 seems more current.